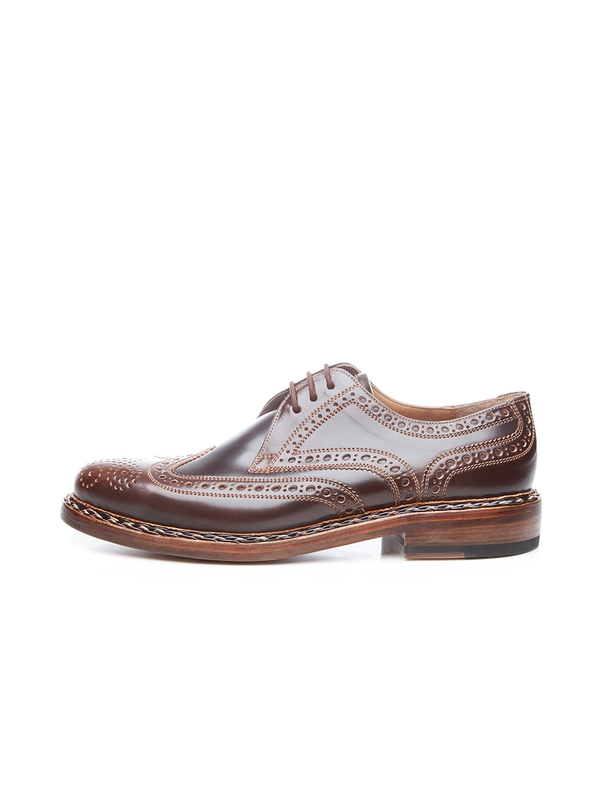 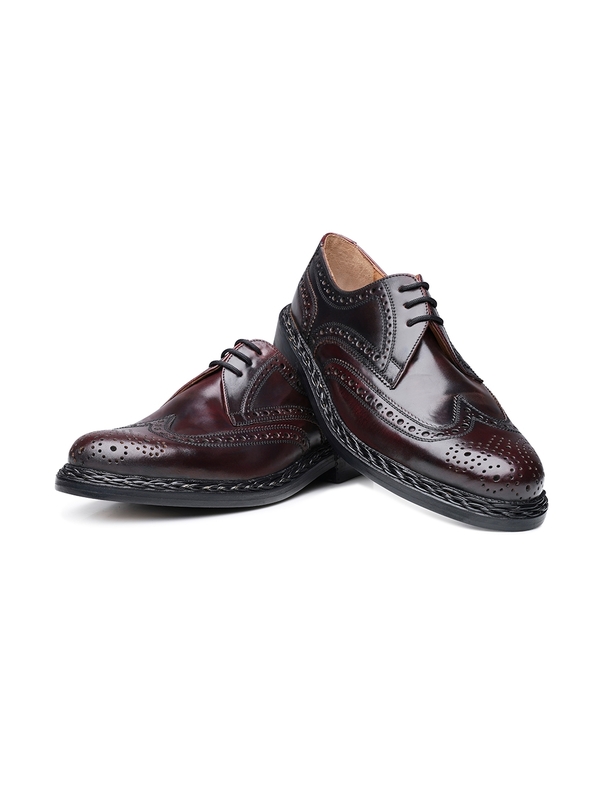 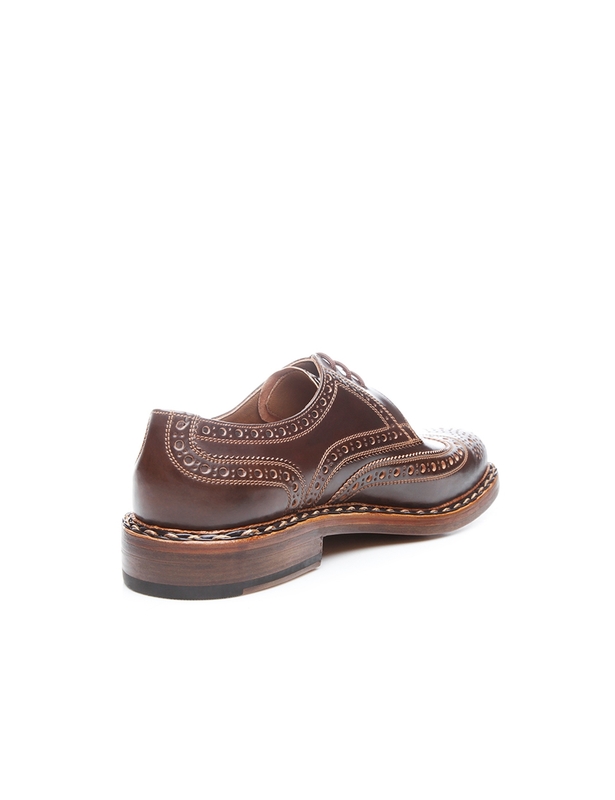 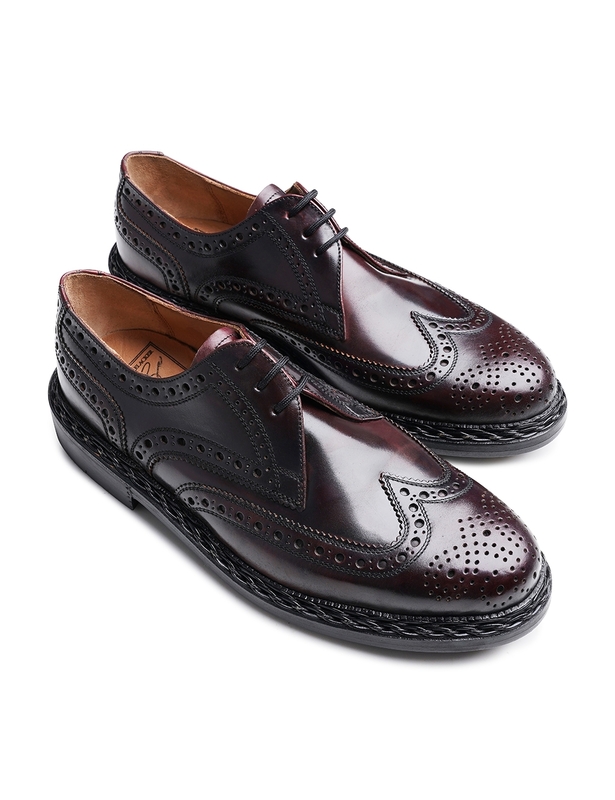 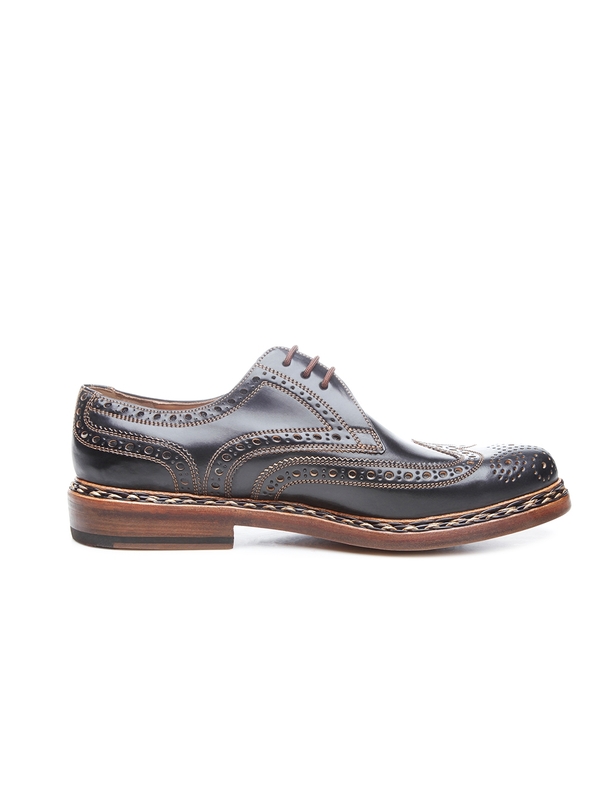 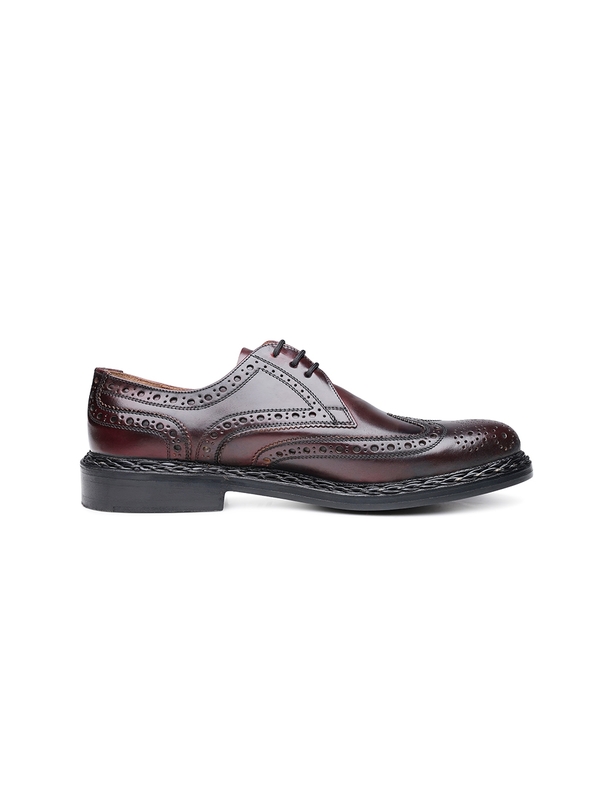 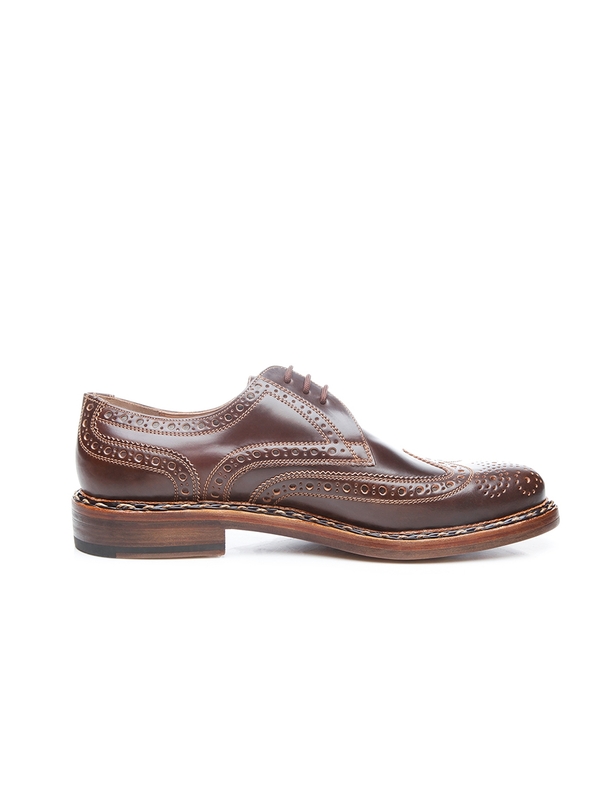 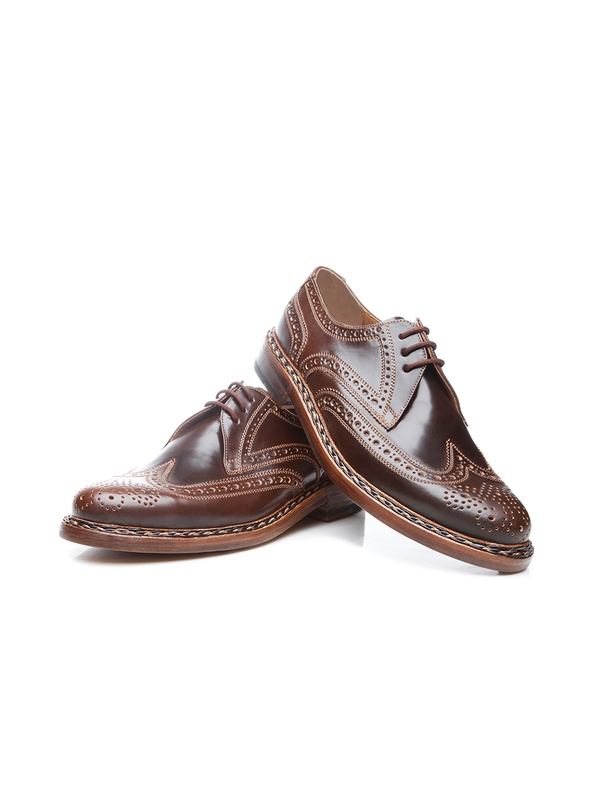 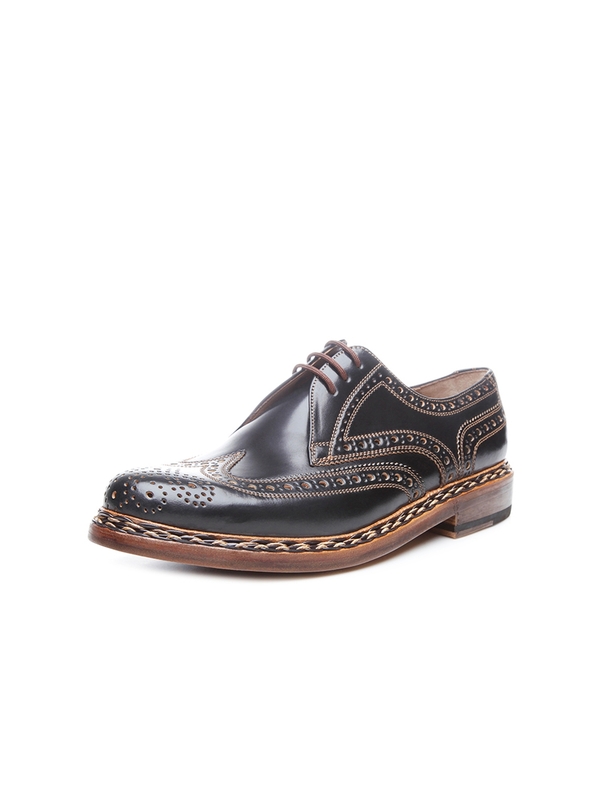 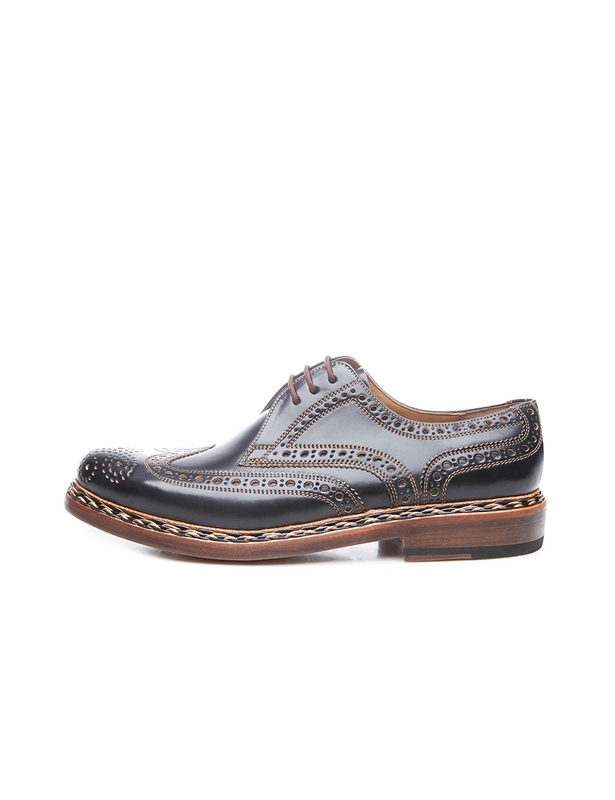 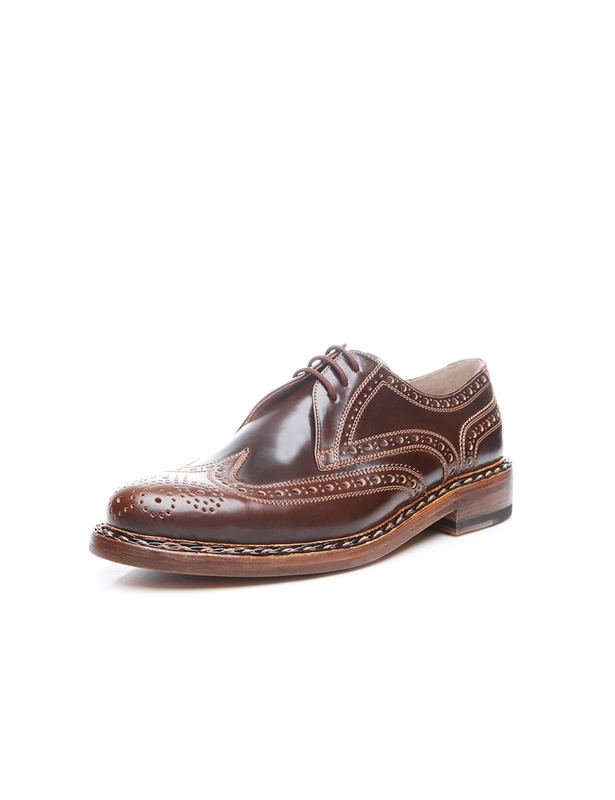 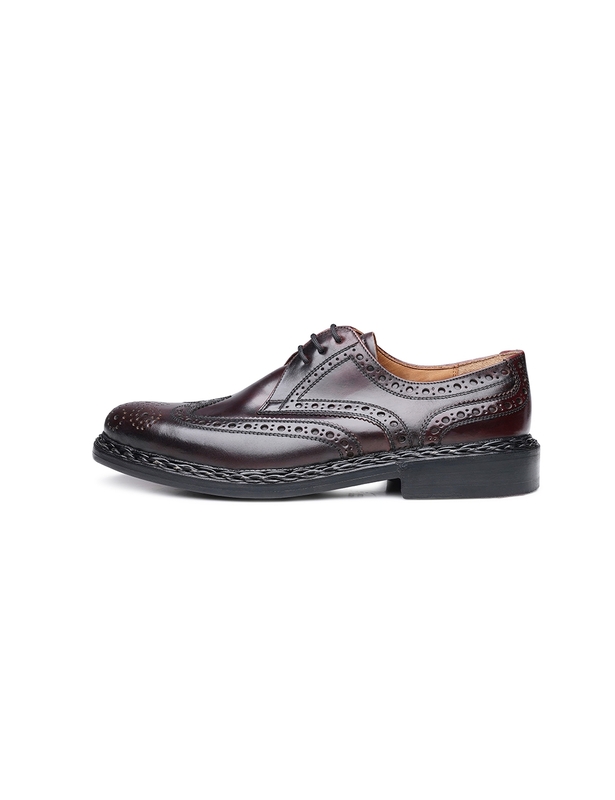 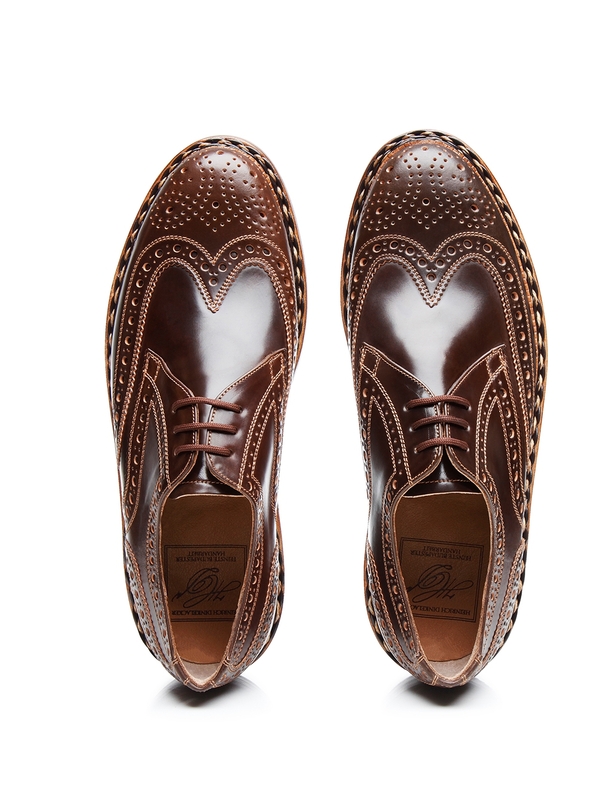 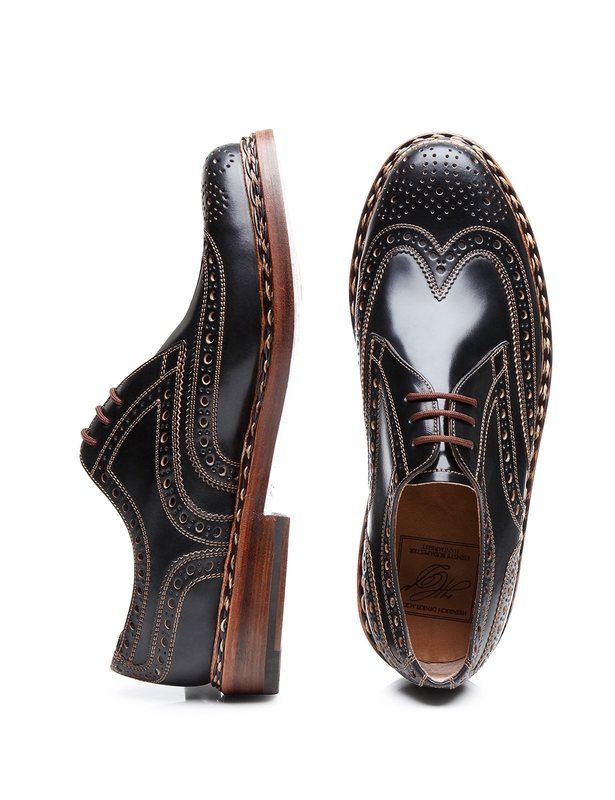 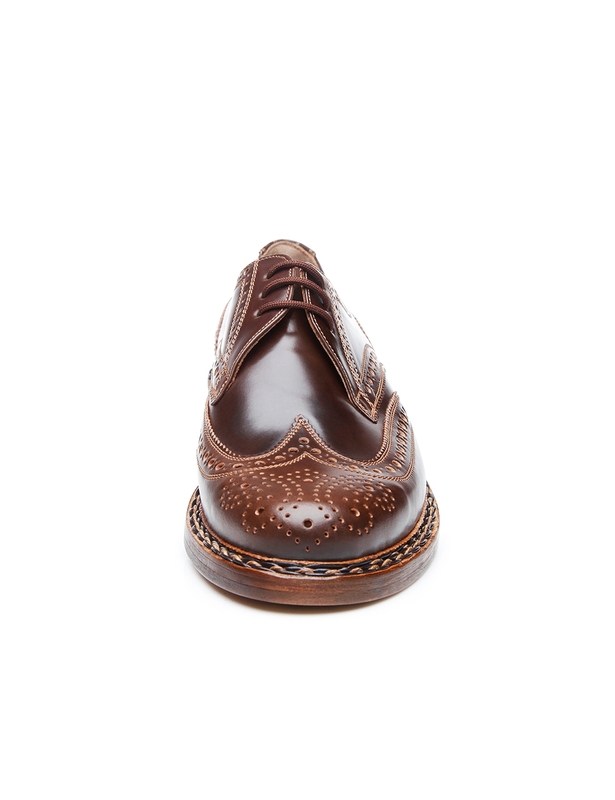 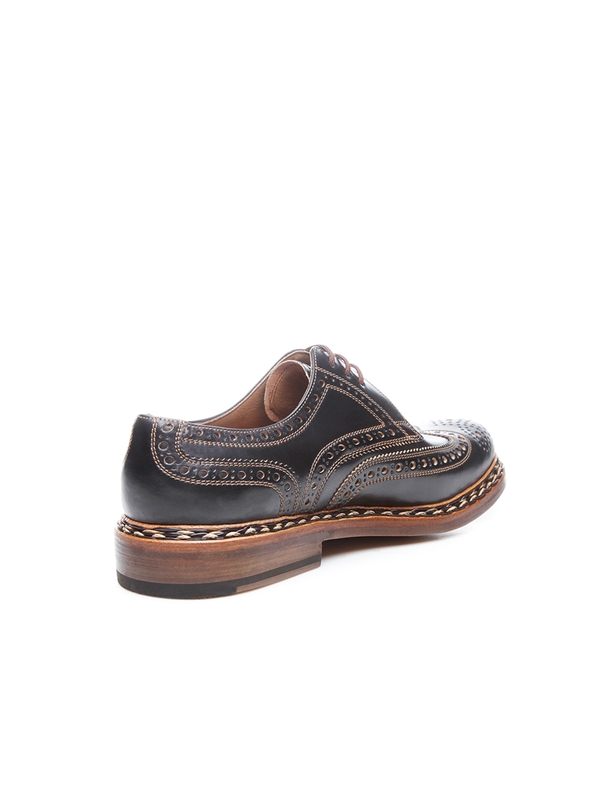 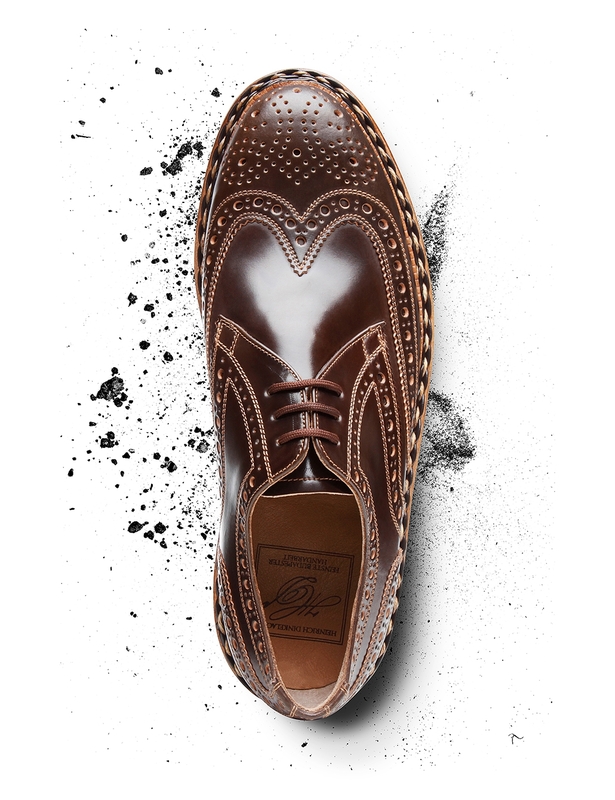 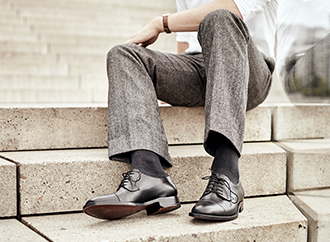 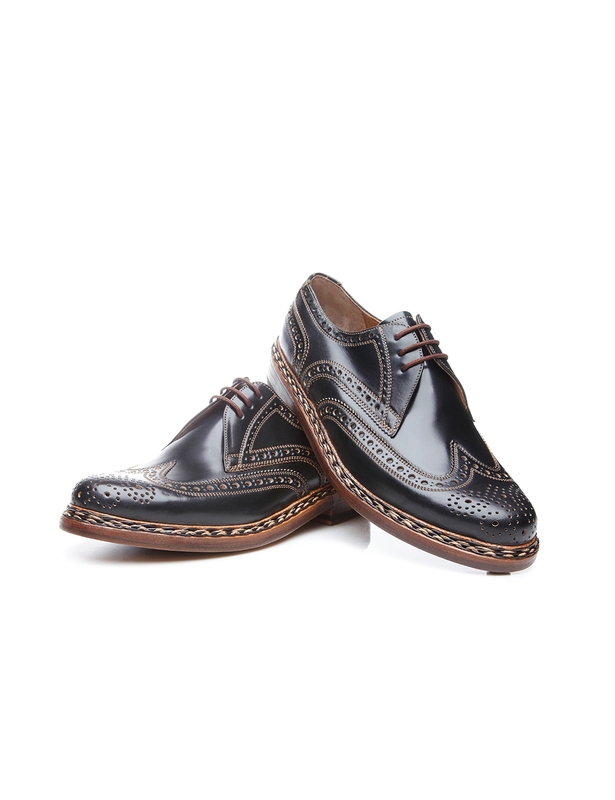 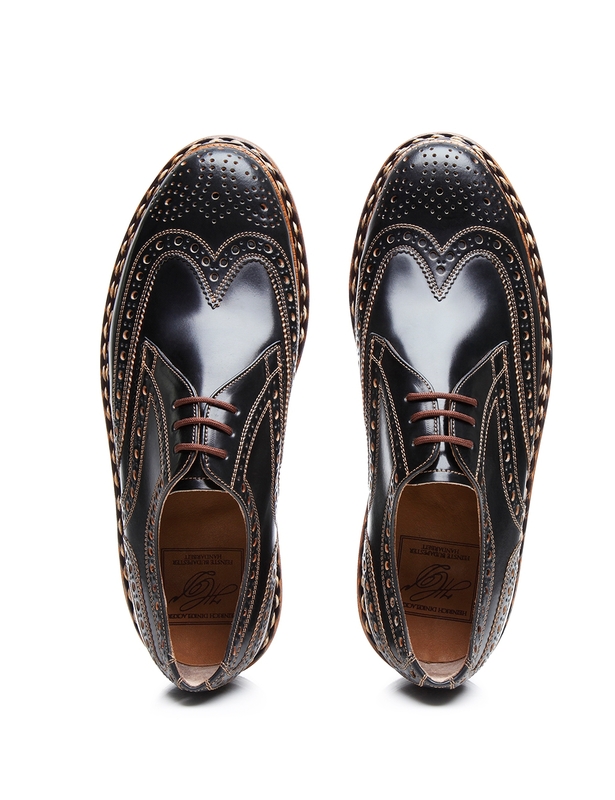 This men’s full-brogue Derby is the result of masterful craftsmanship. 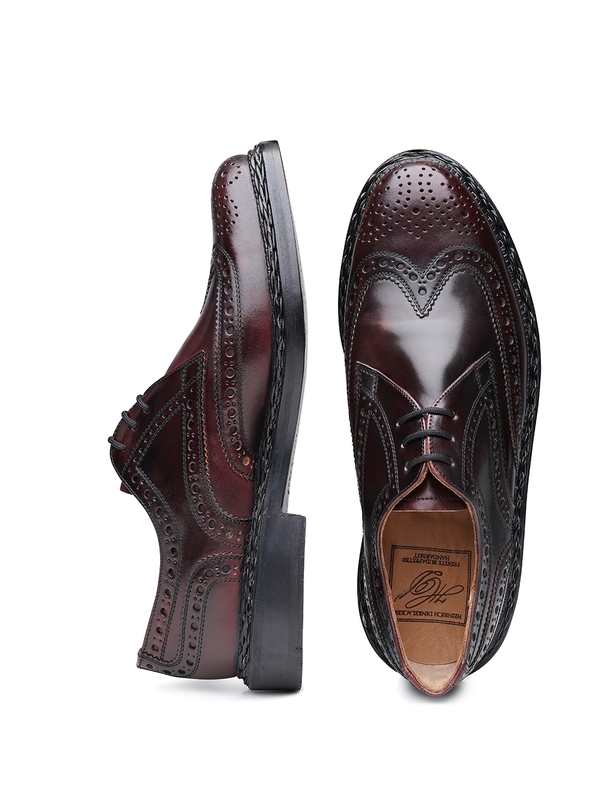 Sophisticated shell cordovan from Chicago’s Horween tannery forms the shaft, adorned with richly detailed Lyra perforation. 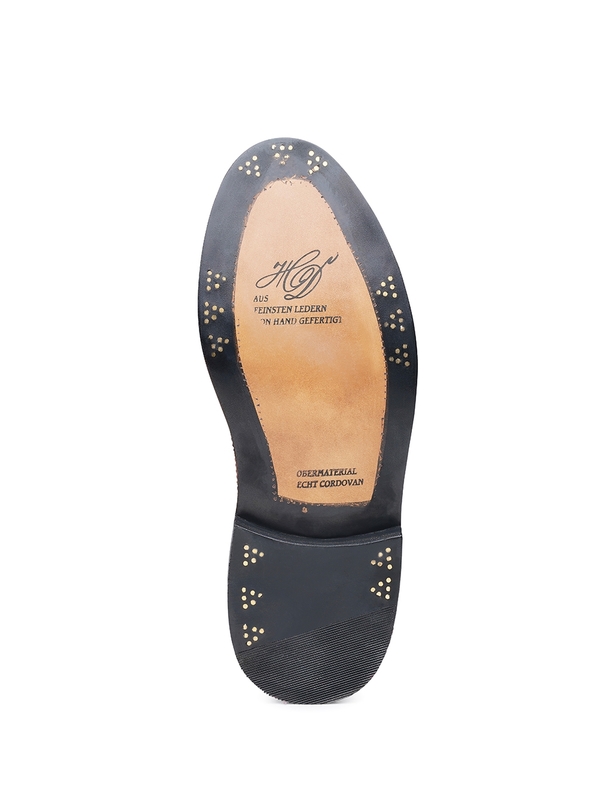 The most coveted smooth leather in the world, this material is distinguished by its high natural fat content, which makes it resistant to scratching and creates a thrillingly supple feel. 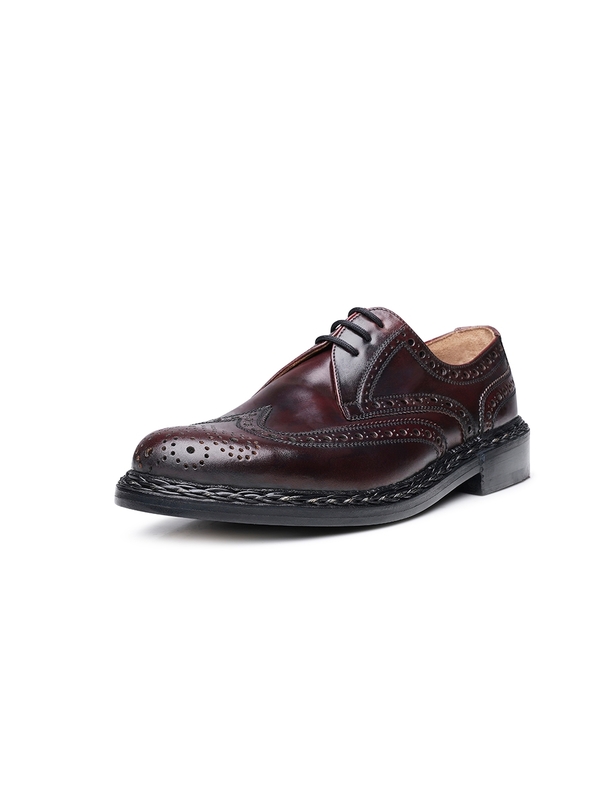 Hand-stitched around a Buda last, the braided welt is an unmistakable hallmark of the meticulous production process that went into this shoe. 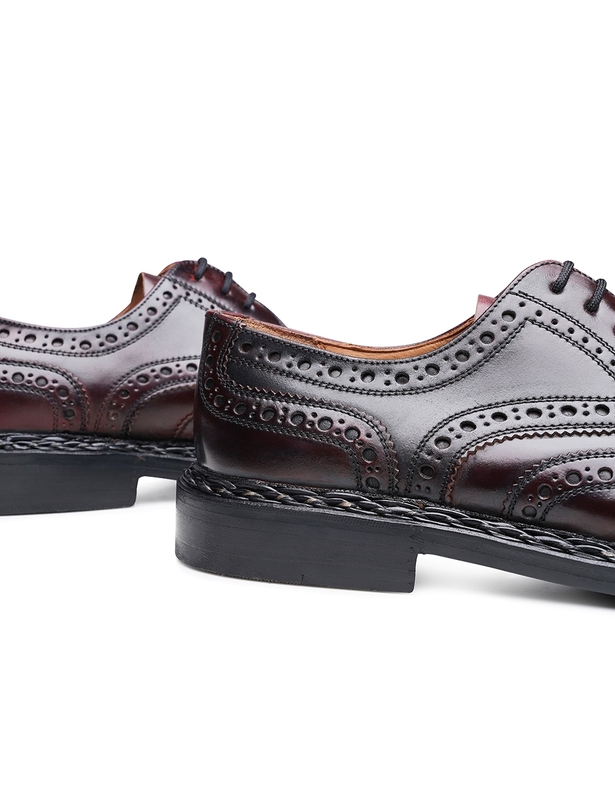 It takes 300 work steps in total to make a real Budapester like this one. 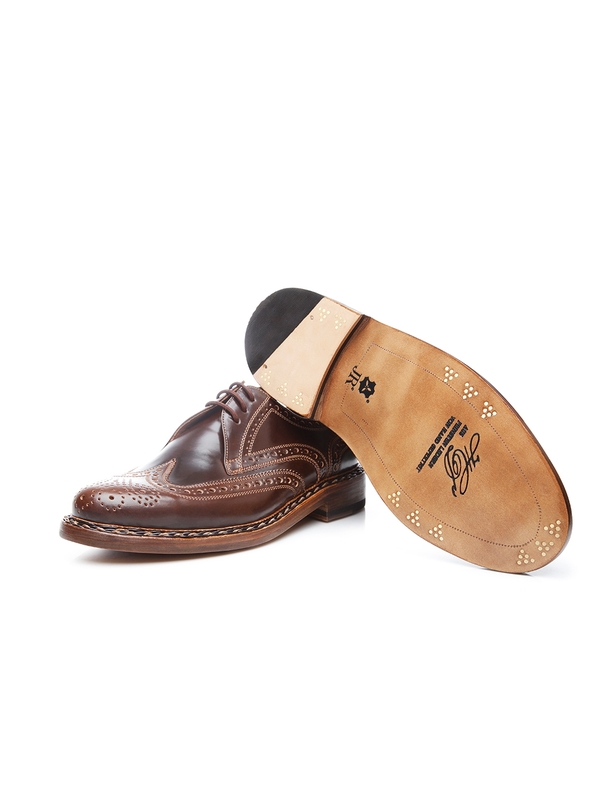 The crowning touches on this lace-up shoe are open three-eyelet lacing, plus a leather outsole from the traditional, Trier-based Rendenbach tannery. 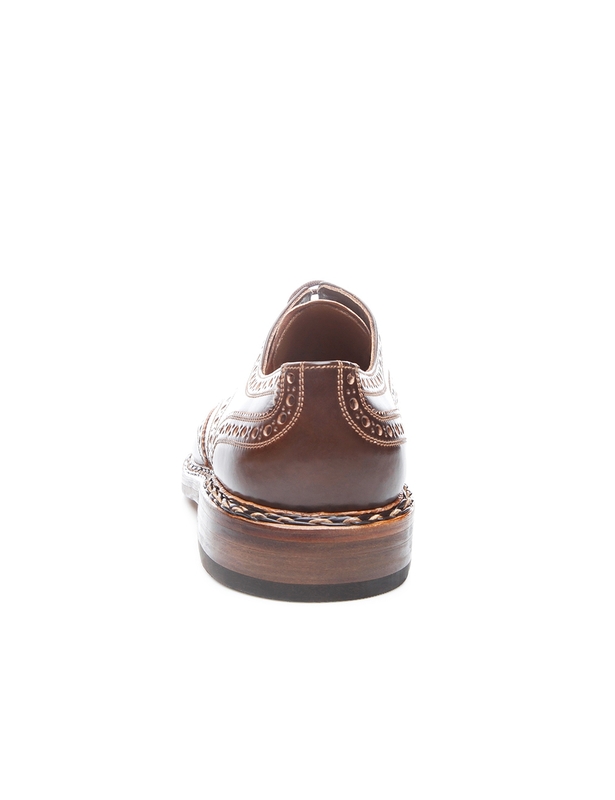 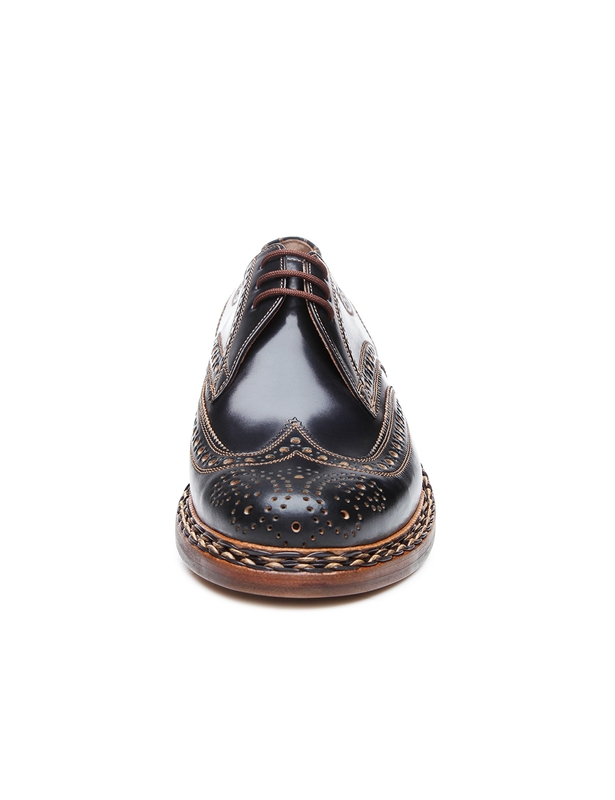 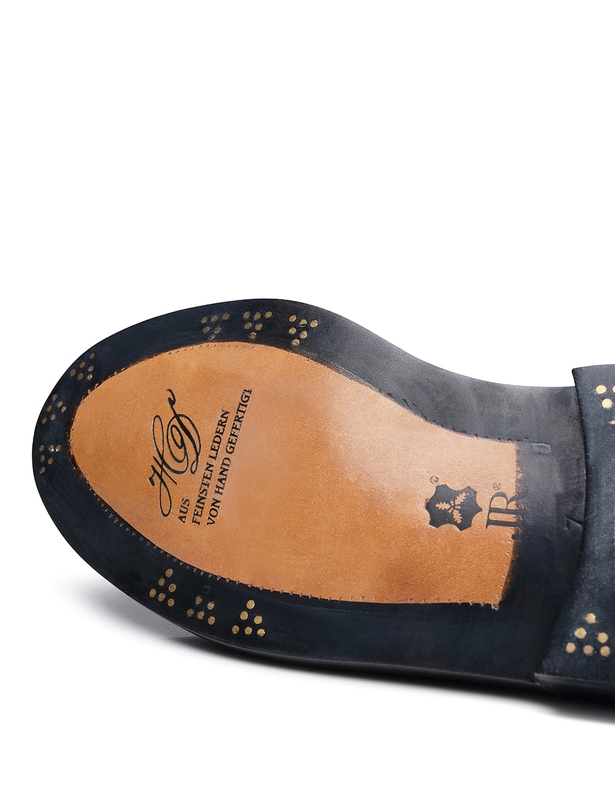 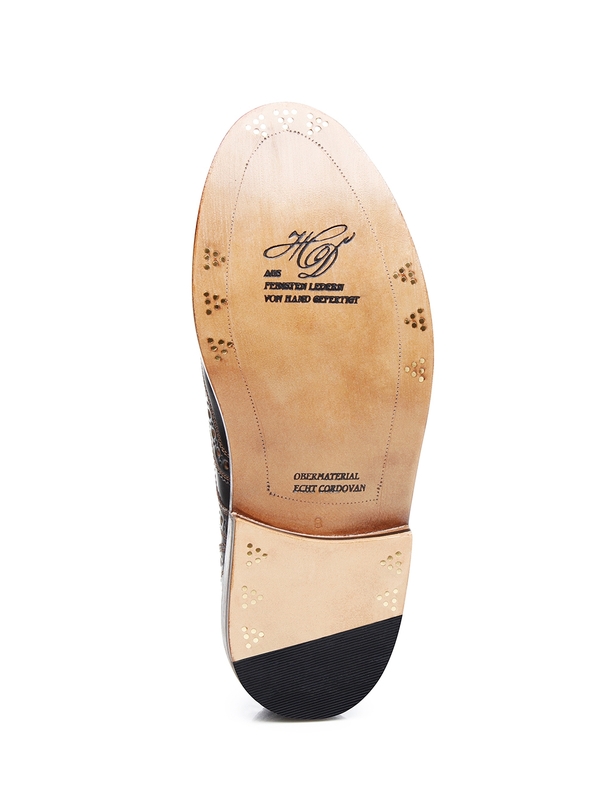 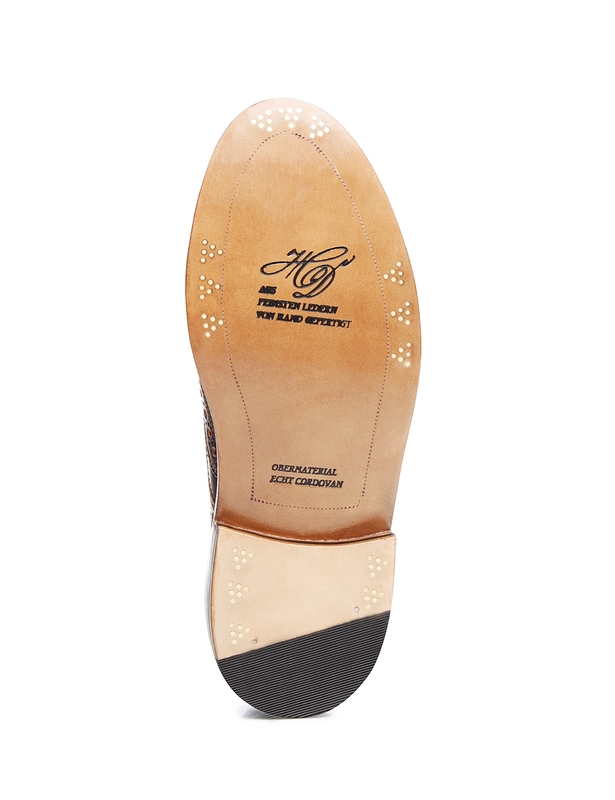 Held in place by six sets of brass nails (66 in total), the leather sole ensures longevity and comfort.